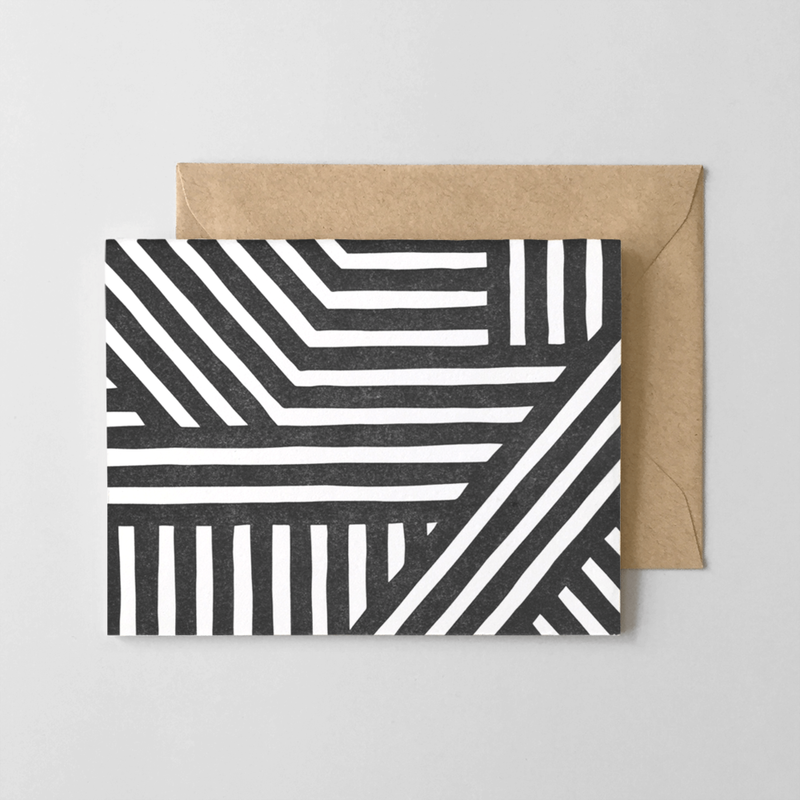 Hello Paper Co. — Bold Stripes Invite by Hello Paper Co. 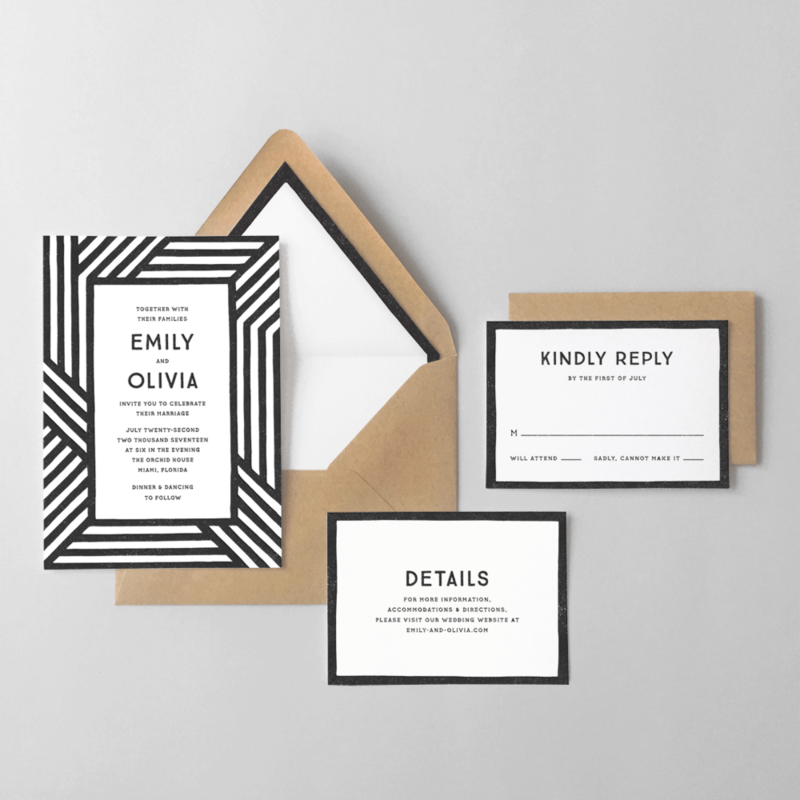 Bold Stripes Invite by Hello Paper Co.
Letterpress printed wedding invitation suite with hand-drawn stripe pattern. Designed and printed by Hello Paper Co. 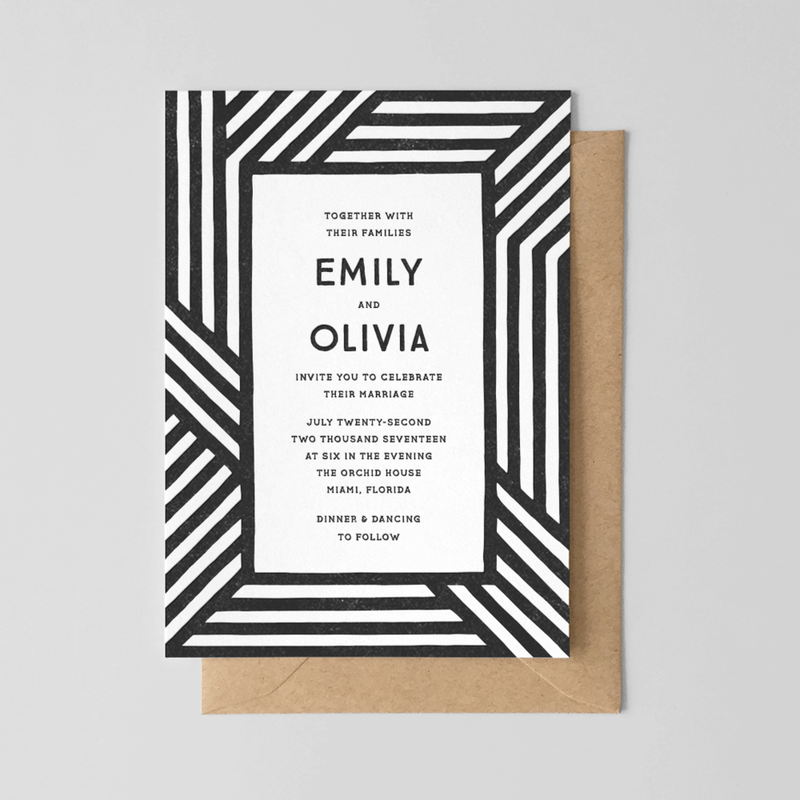 Invitation suite letterpress printed on extra-thick, 100% cotton paper. The design features illustrated line patterns and black lettering. We'll customize the suite to exactly what you need — don't want the envelope liner? No problem. Need entrée options on the reply card? We're happy to add them!